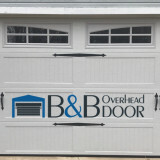 B & B Overhead Door has been in business for almost 30 years and still operates on one simple principle: be honest. Be on time – or at least notify the customer in the rare event you’re running late. Do the same level of work that you would do on your own home. If the customer isn’t happy with something, make it right with them. This is our priority, and we stand by it. Our customer service is also well-known for our expertise and professionalism. We put our customers first. We are skilled professionals with 30 years of experience installing residential and commercial garage doors. Prompt and friendly, we promise to respect your time. We have built great relationships with leading door manufacturers like Clopay and Cookson, allowing us to offer high quality garage doors at very competitive prices. You’ll deal directly with us – we don’t hire subcontractors to do our work. Cleveland Locksmith is Cleveland's trusted name in security solutions - providing you with 24-hour emergency, residential, commercial and auto locksmith services. Cleveland Locksmith customer service is unmatched. By proving to customers that we have the best solution to their needs, we've become the locksmith and security services provider of choice in the greater Cleveland area. When it comes to hiring an excellent locksmith, Medina Pro Locksmith always lives up to its name! All our mobile staff locksmith technicians are accomplished professionals. Each one of us is local to Medina, Ohio, as well as properly bonded, thoroughly background-checked, fully insured, officially certified, and appropriately licensed. We can obviously solve any problem with keys and locks that may happen to you. If you’ve been seeking a reliable locksmith, Medina Pro Locksmith is incomparable! If you discover you’re locked out, don’t fret, because our expert mobile staff Medina locksmiths will soon come to your aid! CALL US ANYTIME DAY OR NIGHT! We’ll soon get you out of a jam! If you must track down a dependable locksmith in Medina, OH, we are always available to respond, on call to provide outstanding emergency lockout services, 24/7! We do all our lock jobs with the most reputable brands, including Arrow, Baldwin, Falcon, Ilco, Kwikset, Mul-T-Lock, Primus, Sentry, Yale, & more! Do you need an automotive locksmith? We are able to unjam the glove box, replace your lost car keys, replace the ignition cylinder, & more! Are your locksmith needs residential? We can expertly handle mailbox locks, peepholes, intercom system installation, & more! Our optimal commercial locksmith services include desk & filing cabinet rekeys, fire/emergency devices, video surveillance, & more! Have you been seeking an affordable and fine-quality locksmith? 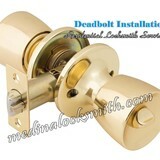 Medina Pro Locksmith is plainly the better choice in town! A mobile professional staff locksmith specialist will be dispatched without delay, responding in an instant! 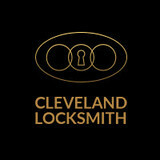 UTS Locksmith Cleveland offers 24 hour locksmith services and home security products for residents of Cleveland, OH. We specialize in all locksmith solutions for residential and commercial venues. Our technicians can handle any type of lock, and are qualified to open safes & vaults. With our short response time (15 minutes on average) and guaranteed satisfaction, there's no reason not to call us for your free price estimate! With over 35 Years in commercial and residential garage door installation and service, Advance Door Company prides itself on supplying great value and top quality garage door service. 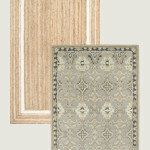 Customer loyalty has played a major role in the success of our company. Our commitment to the greater Cleveland area has made us one of the leading commercial, industrial and residential door providers. Customer service and affordability are top priorities at Advance Door Company. We offer fast 24 hour service, as well as leading name brand products. We value each of our customers and work to provide the quality service and prices that will keep you coming back to us for garage door installation & service time and time again. 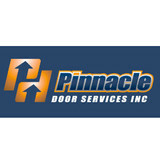 The knowledgeable staff at Advance Door Company can assist you with any size project from a small repair to major construction. Servicing your garage door/opener from our convenient Cleveland, Ohio location, Advance Door Company has become the most trusted name in Northeast Ohio for garage door service, commercial and residential. You will find our pricing competitive with a goal to reduce your overall cost. At Advance Door Company we stand behind our products and services and look to build long term relationships with our customers. Remember, Don't Take A Chance, Call Advance. 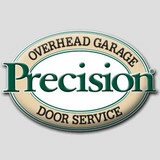 Central Door Systems has been providing Northern Ohio with expert garage door products and services since 2001. As a certified Clopay® dealer we offer the complete line of residential and commercial garage doors. From affordable non-insulated steel to semi-custom wood, we're sure to have a garage door that complements your style and budget. And our extensive inventory of LiftMaster® openers, parts and accessories will do the heavy lifting for you. Above & Beyond Doors Systems is a family owned and operated garage door repair and installation business that sincerely cares about its customers. 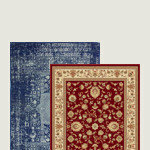 We have found that offering the best materials in the industry and giving you, our customer, the best possible price, is the reason for our continued success in Akron and Canton, Ohio. Do you need a reliable and affordable locksmith in Chagrin Falls, OH? If so, you have come to the right place. Affordable rates and high quality results can be found right here with Chagrin Falls Locksmith. Chagrin Falls, OH is a wonderful place to live. Residents can be confident that their homes are safe thanks to the lock and security solutions that are offered by our company. Our crew of Chagrin Falls locksmiths are skilled to work with all major security brands. They deal with brands like Medeco, Falcon, Baldwin, ASSA, Arrow, Mul-T-Lock and Yale. 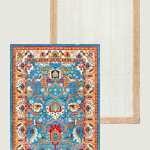 They offer a vast variety of solutions for residential, automotive and commercial customers. Some of the solutions and options that we offer include master keys, transponder keys, smart keys, break in repairs, intercom systems, deadbolts, gun safes, combination changing and a whole lot more. Chagrin Falls Locksmith won’t ever steer you wrong when it comes to your security. We never compromise on quality and you shouldn’t compromise when it comes to your lock and key security. 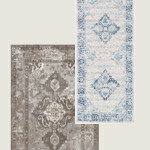 Don’t hesitate to call us for a free consultation or free price estimate. We are eager to provide you with the help you need, whether you need urgent attention because you are locked out of your home, or just something simple like key duplication. Choose Chagrin Falls Locksmith today! We hope that you get in touch with our team of licensed professionals soon. Hours: 24 hours a day, 7 days a week. We sell garage door replacement parts at whole sale prices direct to customer. What types of garage door service tasks do contractors in Cleveland, OH provide? A damaged garage door can lead to increased security risk, ruined belongings and an unpleasant exterior, so look for Cleveland, OH repair professionals who provide same-day or emergency services if the damage is extensive and poses a potential health and safety risk. Find Cleveland, OH garage door repair professionals on Houzz. Narrow your search for garage door repair professionals by selecting the nearest city or zip code. Look at portfolio and product photos, and read reviews to find the best garage door contractors in Cleveland, OH for your home.